Meredith is a passionate community advocate, with most of her work focusing on engaging young people in the political process, supporting urban core revitalization and promoting small business and startups development. An original team member for the One Spark festival, she served as the Community & Public Relations Director during the organization’s rapid growth in its first three years to one of the top 20 festivals in the country by attendance and earning the organization over $3 million in earned media. Meredith is the founder of the nonpartisan Jax Young Voters Coalition, a 501(c)4 organization educating and promoting civic participation to millennials, and serves as chair of the board of directors for that organization. She also serves on the board of directors for the Civic Round Table of Jacksonville, the Jacksonville Public Library Foundation and Party, Benefit & Jam. She is a veteran of 14 local and state political campaigns, working in various positions including communications, field and finance. Meredith also spent a year serving the City of Jacksonville as a Public Communications Officer and on Mayor Alvin Brown’s transition team. After living all over the country, she fell in love with Jacksonville and decided to make Riverside her permanent home after returning to the area in 2010. She earned her Bachelor’s Degree in political science from the University of North Florida. Meredith also holds a Master’s Degree from the University of Florida in political science with a specialty in campaigning. 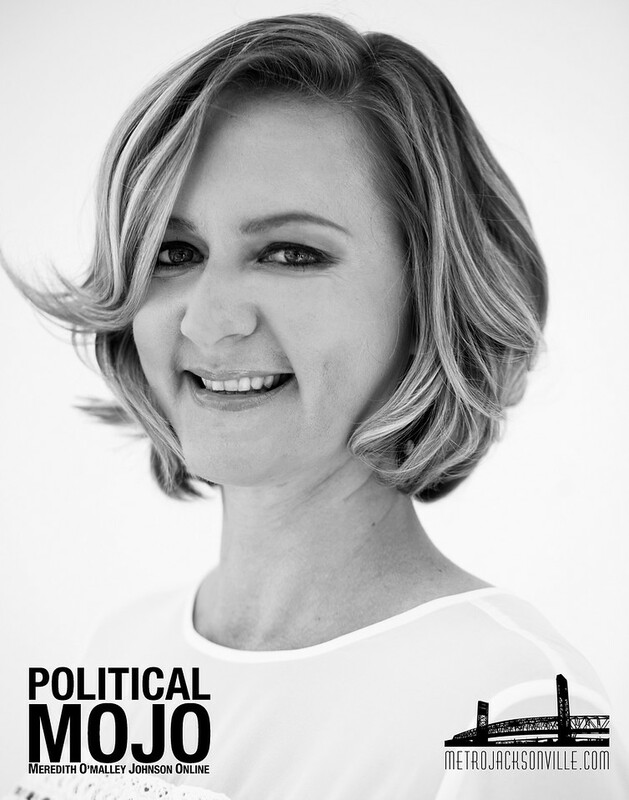 Follow Meredith on Twitter at @MeredithJAX or on Instagram at @politicalmojo. You can also Like her on Facebook as Political MOJO.